Trade Expert is a trusted community marketplace for people and businesses to outsource tasks, find local services or hire flexible staff in minutes. Find local people to help you around the home and office or earn money by completing tasks for others. 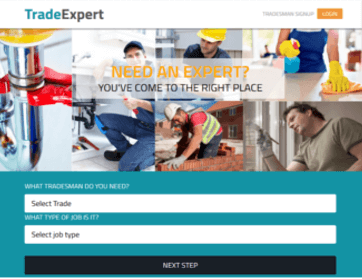 You can call plumbers, traders, carpenters, cook and many more household workers via trade expert and get your work done and save time in searching. Trusted workers with verified reviews.